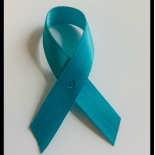 Get your teal support ribbon for Sexual Assault Awareness Month and attend a variety of scheduled events. Your friends in the Office of Campus Life invite you to subscribe to their newsletter. The One Stop is now open Monday through Thursday until 6 p.m. It's time to make the biggest difference we can. Tech Gives Back 2018 will take place on Saturday, April 7 beginning at 9 a.m.